Joel Allotey: Hustling For Her Daily Bread, Olajumoke Found Serendipity As an Ingredient For Success! Few weeks ago, the name Olajumoke Orisaguna would not have rang any bells in the minds of the everyday Nigerian. A young lady who hawked fresh hot ‘Agege’ bread along the streets of suburban Lagos; like hundreds, maybe thousand others like her. Uneventful, uninteresting. But, Olajumoke’s story was unique, for the sole reason that she found herself at the right place and at the right time. When I first saw the pictures from UK popstar, Tinie Tempah’s photoshoot online, done by the renowned photographer TY Bello, I thought it was just brilliant. Shots taken in a simple Lagos neighbourhood, featuring a proud son of the soil, who was representing Nigeria well in the Western music industry. Tinie Tempah looked dashing in his tradition Nigerian attire; the surrounding was perfect, even the ‘bread-seller girl’ was the perfect ‘prop’- a ubiquitous finding on many Lagos streets. But in fact, the bread seller was not really a prop. Apparently, Olajumoke had unintentionally photobombed the photoshoot session (after TY Bello got her verbal consent to include her in the picture), and literally and metaphorically walked into what would later become success and stardom. The 27-year old has become, almost overnight, a Nigerian sensation; the poster child for the Nigerian Dream- one where success and good fortune unexpectedly falls in ones lap. Nigerians, in our almost trademark super-religious and superstitious nature, see her story as the ultimate miracle; the kind that make people attend all-night vigils for prayers and deliverance, and get many self-proclaimed ‘men of god’ a sizable congregation, along with its perks. 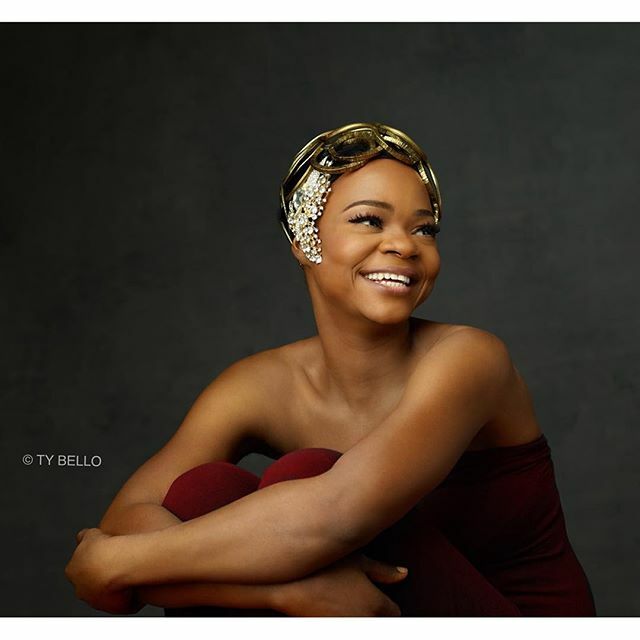 Just like getting that high-paying job without any prior relevant experience or connections, or conceiving a child even after doctors have confirmed a lady infertile, Olajumoke’s story reminds many people that no matter how far-fetched one’s hopes and dreams may be, anything is possible, especially when backed by faith and religiosity. Frankly speaking, Olajumoke – a name which when loosely translated from Yoruba language means ‘Cherished wealth’ (another reason why parents should be extremely careful with the names they give their children; Goodluck Jonathan is another case in point) – was extremely fortunate. Her apparent success, by way of modelling contract, new luxury home, education opportunity (she doesn’t speak English and hasn’t had much education), television interviews (from NTA to CNN), and endorsement deals, is rather overwhelming, for someone who just few weeks ago was a simple bread-seller, struggling to provide for her family. One starts to wonder, what then is the recipe for success? Many Nigerians would define success as having a lucrative career, financial security, fulfilling family life, great social network among other things. Well, Olajumoke has shown us one major ingredient for success, and it’s something that we don’t necessarily have a hand in…Serendipity. Serendipity is not just plain or ordinary luck; it is an occurrence of events in one’s life, whereby everything falls into place, regardless of the choices we make, whether good or bad, but in the end, things just work out for the ultimate best. 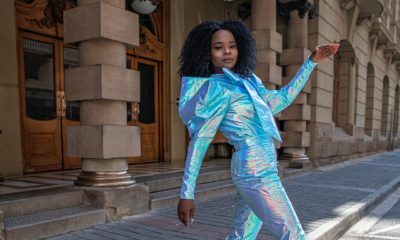 Olajumoke could have been hawking her bread on any other street; she could have been stopped by a prospective customer as she walked that street, and may never have made it in time to reach the field of TY Bello’s camera lens. A million and one other things could have happened differently that day from the moment Olajumoke woke up that morning, to when TY Bello spotted her, but Serendipity made everything fall in place for her greater good. In the New York Times Bestseller, The Start-Up of You, written by LinkedIn cofounder Reid Hoffman, and co-authored by Ben Casnocha, the authors admonish reader to “Court Serendipity and Good Randomness”. They acknowledge that a lot of the successful people in the world of business today owe much of their success to good fortune. However, not everyone will have good fortune on their side like Olajumoke did. Sometimes, we need to make our own good fortune- or at least, create an environment around us where we are likely to have good fortune. This, unlike serendipity, is absolutely within our power. Creating our own opportunities can be done in various ways: from the company we choose to keep, to the social events we choose to attend, to the way we choose to spend our time. Everything is a choice. We many never know if we are making the right choice. I’ve always been a firm believer that regardless of the path we choose, whether in our professional or personal life, we must actively seek out opportunities along the way. The interesting thing about opportunities is that they have a dastardly way of being very, very subtle. If you’re not looking out for them, even when they show up, one might never notice them. It could be a stranger sitting beside you on a plane, who after a brief friendly interaction and contact exchange might change your life for the better. It could be the person with the flat tyre by the road side, who you happen to help out, and such a person may open doors that you never imagined in your wildest dreams. It could even be more subtle, such as speaking up at a public event and being noticed for your assertiveness and eloquence. Admittedly, some opportunities come to people effortlessly, by virtue of the social status of their family, or the school they attended, but for many of us, we need to actively pursue opportunity, by developing good habits as well as social and professional skills that will help improve our chances of getting what we so desire, and more. And of course, what use is an opportunity if it will not be maximized? Seizing the opportunity is just as important – through diligence and hard work, and also avoiding the evil that is complacency- that voice in your head that tells you that “you’re good, you can take it easy”. We live in a viciously competitive world, where there would always be someone better than you at whatever it is you’re doing. The worst thing you can allow to happen is to let someone take that opportunity away from you by being a slacker. Finally, after the opportunity has been created or discovered, and adequately seized and taken advantage of, and with a sprinkle of good ol’ serendipity, one still needs a vital ingredient. It comes in human form, and can mask itself as an opportunity. Every success story would require someone who believes in you. Some people call such a person a ‘Sponsor’. TY Bello is Olajumoke’s sponsor, and she would have walked passed the photoshoot without being noticed, maybe even be considered a nuisance, if it were some other photographer, and her life would not be what it is today. A sponsor could be a friend, a boss, a former boss, a relative, a romantic partner or spouse, a total stranger. It could literally be anyone; Younger or older, in or outside our field of work, physically present, or a contact whom one may never have actually seen face-to-face. A sponsor may give us the opportunity, but it is up to us to excel and not let the person down. Incidentally, finding a sponsor is also an active process, just like seeking out opportunities, because a good sponsor is a great opportunity. I honestly hope that Olajumoke’s new journey takes her to great heights, considering the treacherous industry she finds herself in, and given some of her perceived disadvantages, especially with regard to education, and adapting to a whole new lifestyle of constantly being in front of a camera lens. With regard to our own individual journey through life, as we fantasize about stumbling into good fortune also, we must continuously seek out opportunities and make the most of the cards that we have been dealt. Let’s get back to hustling for our own daily bread. Busola Idowu: Is Being with a New Boo the Time to Divulge All Your ‘EX-Files’? Please don’t pour sand in this womam’s garri by overexposing her. The coverage is getting too much!! Nigerians and their irritating desire to always chew something until it is so mangled, it loses form. Everyone and their dead grandmother wants to practice their language skills on this lady’s good fortune. Not one person has written on TY, and the importance of being alive to one’s environment and unselfish, opportunities to discover and nature talent bla bla bla. That’s where our conversations should be heading, Na how to exploit an already mangled topic una dey find. And please who is doing PR for this innocent lady? Please you are not selling OMO, Gala or rat poison. The public will not forget her if you do not constantly shove her inside our trachea every breathing MOMENT of our lives. Allow the maggot or whatever it’s called to develop into a beautiful butterfly and present her IF you must at intervals. So that you, yes YOU, can focus on other Jumokes and Jamius you can raise right in your neighborhood. Can’t you see how even those garden egg sellers are now dressing fly? I’m just so irritated, can’t deal with the sub-zero intellect that is the norm over here and no I didn’t read this article. I read the first 50 that’s enough for me. *I did not call Jumoke a maggot o, I’m referring to that stage before development into a butterfly and I’m too irritated to Google the right word before some people will place their grannys on stakes.